Home > What’s on > News > Quiz Night with fish & chips! Quiz Night with fish & chips! Test your brain at our quiz night on 20th October! 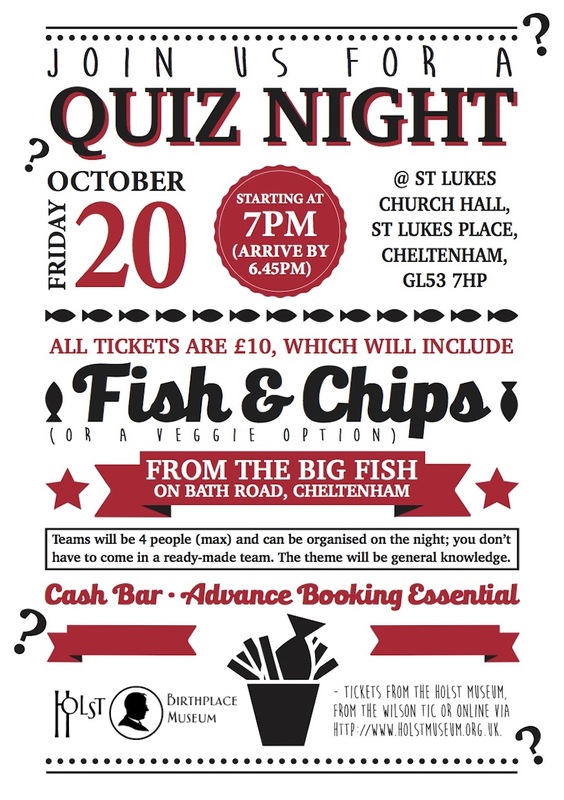 Test your little grey cells at our quiz and fish & chip supper! Give those little grey cells a workout at our quiz night on 20th October 2017! Fish & chips from The Big Fish on Bath Road are included in the entry price of £10 (vegetarian option available). Come along as a group or individually – we’ll find you a team to quiz with. There will be a cash bar and a raffle. Quizmaster: Alan Parker. Venue: St Luke’s Church Hall, St Luke’s Place, Cheltenham GL53 7HP. Arrive by 1845 to start at 1900. Advance booking essential. Tickets available from the museum.